Several years ago, when we purchased our house, I envisioned doing several projects around the property, yet here I am almost five years later and everything is still as it was when we purchased. Projects require planning, which is where I failed. I remember growing up, we had a neighbor with an unusual man-made hole in the ground next to his home. It turns out that he was building a swimming pool. In fact, he finished it six years ago. The problem with his project is that he started it 25 years ago. This is a good example of a poorly planned and underfunded project. It is important to properly plan your projects with timelines and a completion date. But more importantly, the project needs to be properly funded. IT support covers all types of business and government organizations. Projects that define, enhance, or upgrade the IT infrastructure are a part of everyday life for IT employees. The people responsible for choosing and planning projects often put their careers on the line depending on the outcome and success of the project. Many careers were ruined inside Dell’s competitors. Those who failed to see the power of the internet cost their companies millions of dollars in market share by not funding projects to make them competitive. Commercial organizations that choose the wrong IT strategy will fund the wrong projects and quickly fall behind their competitors. Government organizations that define the wrong strategy, i.e., fund the wrong projects, become inefficient, ultimately costing officials their jobs and/or the elections. With regards to IT Service Management (ITSM), how should you build solutions today so that you can meet the demands of tomorrow? 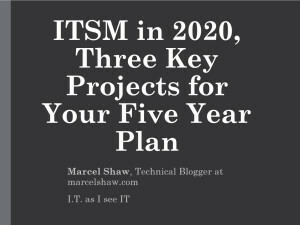 When defining ITSM strategy, you can look to technical magazines, blogs, and analyst reports; however, the information overload might be overwhelming. There are many opinions about what you should do to meet the demands of today while keeping up to date with the technology of tomorrow. Buzz words such as cloud, IoT, social media, and mobility, amongst others, are in the headlines of almost every technical article in the media. On November 18, I will be presenting via webcast for BrightTALK on how three key ITSM projects will enhance your current service management requirements while preparing you for your service management demands in the future. In addition to the webcast, I will post a five-part series, this being part 1. In Part 2, I will continue to discuss the trends. 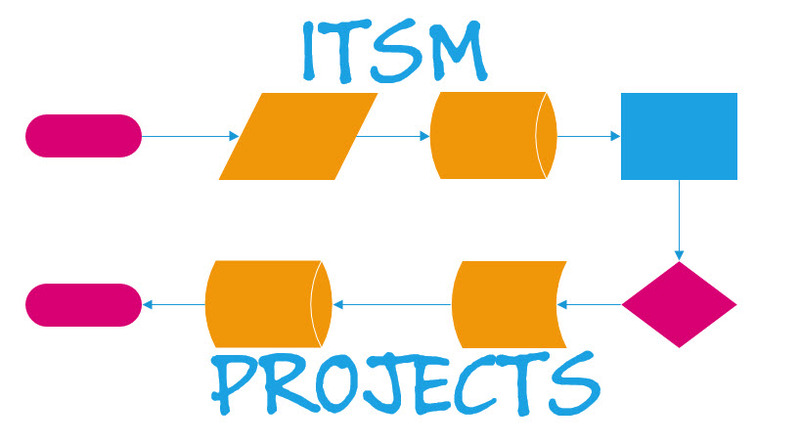 I will also introduce my recommended ITSM projects.